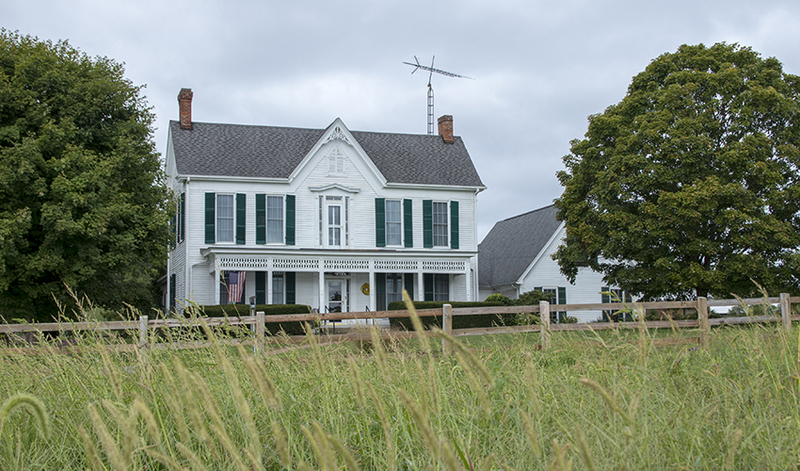 For preserving their historic farmstead in Lawrence County, Ann and Stan Armstrong won the 2018 John Arnold Award for Rural Preservation from Indiana Landmarks and Indiana Farm Bureau. For preserving their historic farmstead in Lawrence County, Ann and Stan Armstrong (top) won the 2018 John Arnold Award for Rural Preservation, presented by Indiana Landmarks and Indiana Farm Bureau. 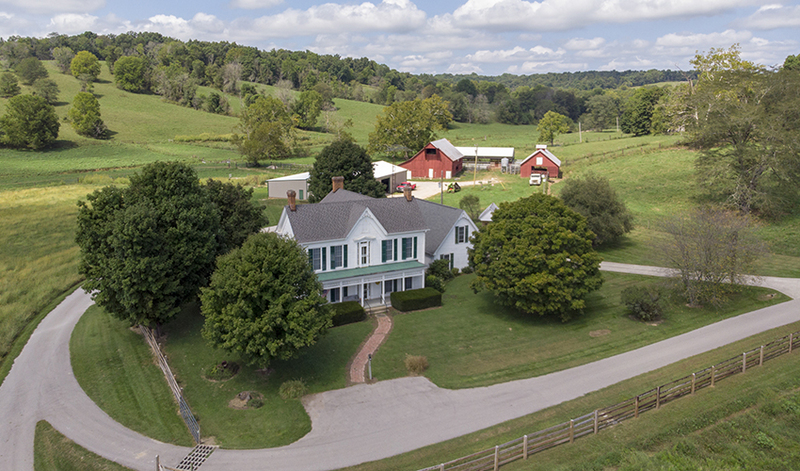 At the base of a broad hillside in southern Indiana, a creek crosses a road leading up to a picturesque white house flanked by two red barns. Little about the scene has changed in the past century, where generations of the Armstrong family have raised their families and cattle. 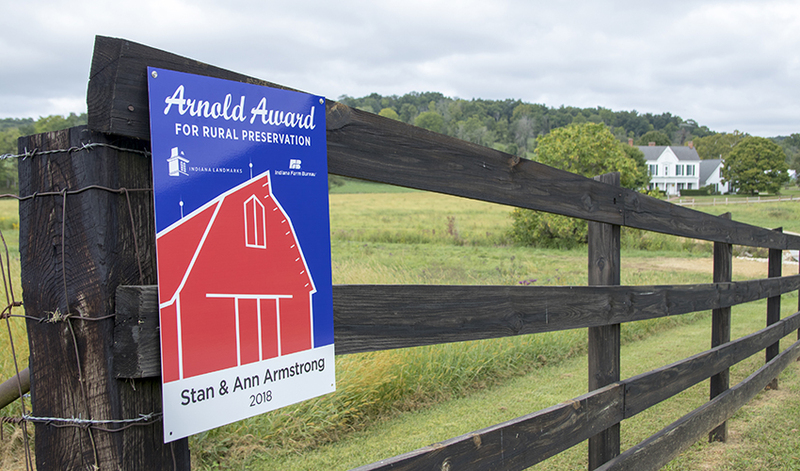 For their care in preserving the historic farmstead and keeping its vintage buildings in use in their farming operation, Indiana Landmarks and Indiana Farm Bureau presented Stan and Ann Armstrong the 2018 John Arnold Award for Rural Preservation. The Armstrong family has been farming in southern Indiana since 1817. 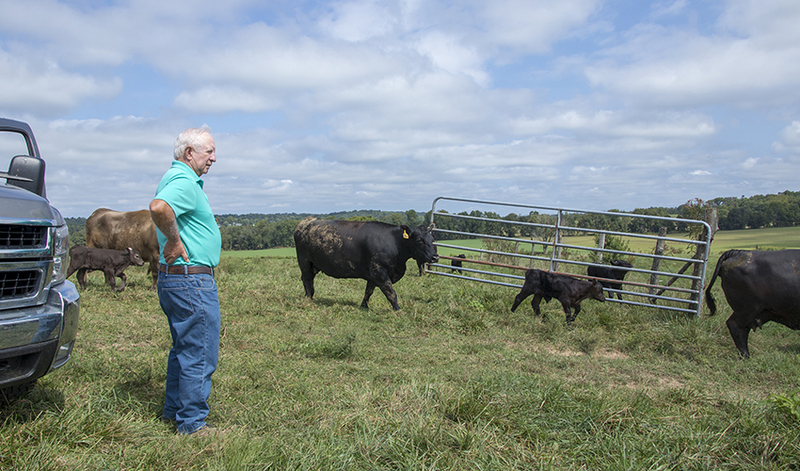 Stan and Ann Armstrong operate the Spring Creek Cattle Co., LLC, on Lawrence County land that has been in the family since 1855, adding fields, timber stands and rolling hills that bring their holdings to 1,140 acres. Stan’s father was born in the 1873 family home, built by his grandfather’s half-brother. In the 1970s, as Stan’s parents wanted to downsize and Stan and Ann needed more space for their growing family, they swapped homes. Over time, the couple has adapted the house while making sure the exterior changes fit the home’s historic character—ensuring roof pitches, siding, shutters, gingerbread, and windows on new construction complimented the original house. Inside, mementos document the family’s long history on the site—historic photos of ancestors on the front porch, quilts and depression glass handed down over time, vintage tools used decades ago. The house also serves as headquarters for the Armstrongs’ Spring Creek Cattle and Pleiades Cattle companies. The family raises Angus and Angus Simmental cross cattle and alfalfa hay. They rotate corn, soy beans, timothy and teff grass through the fields to help maintain good soil content. The cattle summer graze on legume/grass-mixed pastures and eat baled hay in the winter. To keep the historic barns in use in their farming operation, the Armstrongs had to make adjustments for modern farming. For instance, while their large historic barn was designed to hold loose hay, it doesn’t accommodate the round bales used in the majority of their cattle business. They converted the structure to use for birthing calves, as a holding area for weaned calves, for machinery storage, and for a small collection of square bales used to feed weaning calves. Stan researched and repaired the barn’s Fairbank Scale, purchased and used by his ancestors in their cattle operations in the 1880s, and it remains in use today. They adapted the original granary as a warming room for newborn calves. The old corn crib is still pressed into service to store cattle feed. 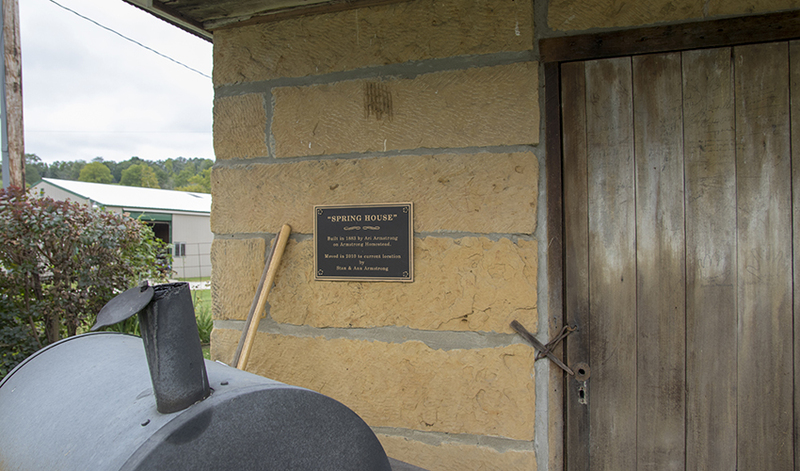 A converted historic springhouse, moved from the Armstrong family’s original homestead just miles away, houses bee-keeping equipment. The Armstrongs operate Spring Creek Cattle Co., on land that has been in the family since 1855. 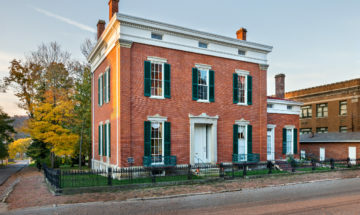 Stan and Ann live in the 1873 family home that they’ve updated over time while making sure the exterior maintains its historic appearance. 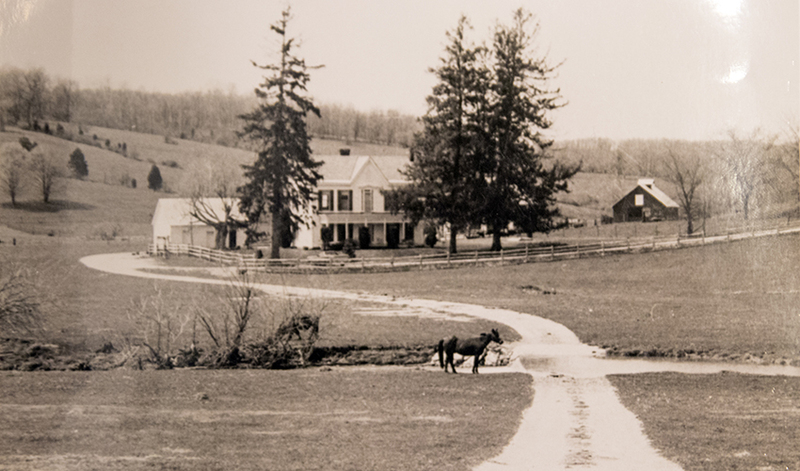 The Armstrong family has been farming in southern Indiana since 1817. 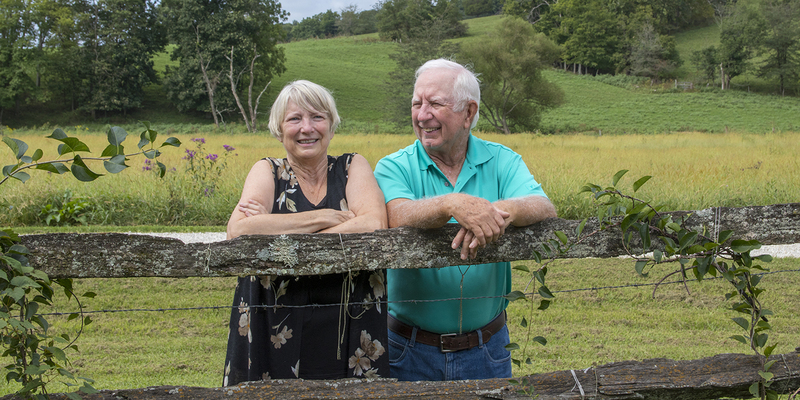 Stan and Ann Armstrong operate the Spring Creek Cattle Co., LLC, on Lawrence County land that has been in the family since 1855, living in the 1873 family home. 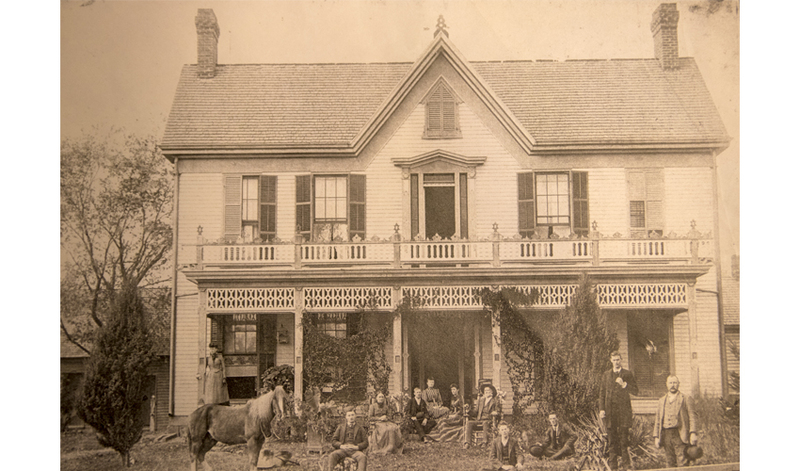 The Armstrong family has been farming in southern Indiana since 1817. Stan and Ann Armstrong operate the Spring Creek Cattle Co., LLC, on Lawrence County land that has been in the family since 1855. 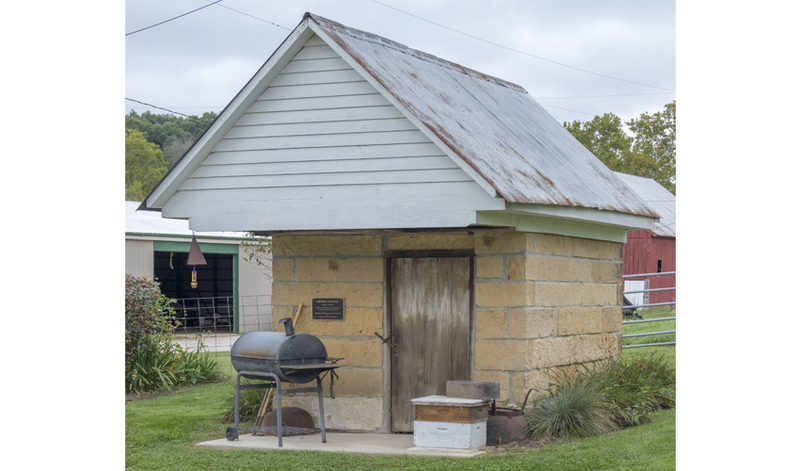 The family moved a historic springhouse from the Armstrong family’s original homestead and converted it to house bee-keeping equipment. The Armstrongs use a historic barn for birthing calves, as a holding area for weaned calves, and for machinery and hay storage, while they adapted a granary as a warming room for newborn calves. The family raises Angus and Angus Simmental cross cattle and alfalfa hay. 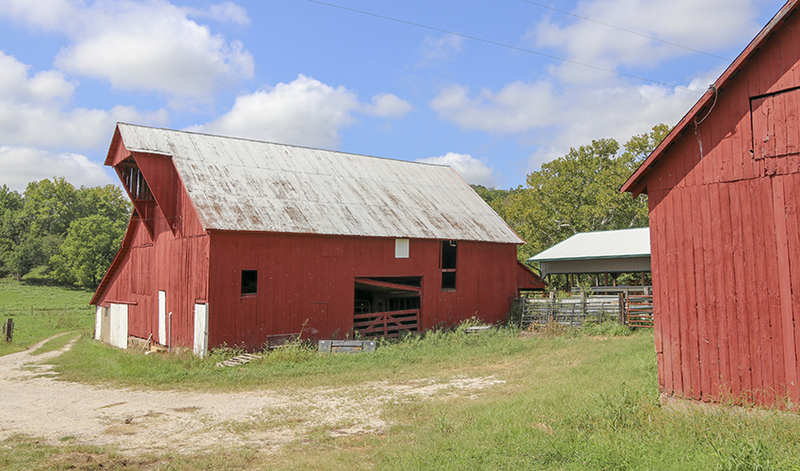 The family also maintains historic barns and other outbuildings on the acreage they have added to the farm over the decades. Throughout the farm, they follow conservation-oriented practices, employing wells as watering sources to avoid polluting streams and ponds, conducting regular soil tests, and using no-till practices to minimize cropland erosion. Their care merited Lawrence County Soil and Water Conservation’s “Farmer of the Year” award in 2015. The couple enlisted their daughters—Alex, Sarah, and Jennifer—in the family business. The daughters assist as needed in cattle and farming operations, help maintain cattle and crop records, and regularly meet with Stan to discuss farm operations and bring new ideas to consider. 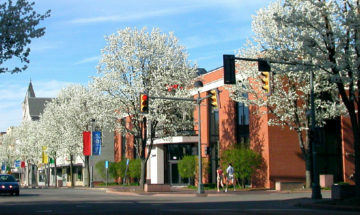 For example, the daughters experimented with growing hops on the farm for home and craft breweries in nearby Bloomington. “It’s satisfying for me to take the grandkids up to the hayloft and talk about how it was used, hoping they are soaking it up,” says Ann. 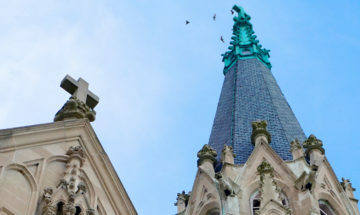 “We hope our children and grandchildren will continue the legacy.” “There’s satisfaction in knowing we’re continuing to honor the heritage we’ve had the opportunity to take care of,” adds Stan.